Sideswipe 100% worst in game. 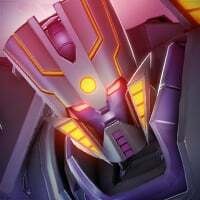 There is zero reason to choose him for any meta fight over any other bot in game. I don't know, Waspinator is really starting to make me angry. He seems slow, unresponsive, weak and fragile. He really needs to be re-balanced. The only good thing for me with Waspinator is his synergy with a all Beast Wars team. Wasp can be a hard hitter, his heavy erases 2 resists buffs at a time and adds a resist debuffs, you have to play him with a bit of strategy, adding resists debuffs then use a sp move when they activate will add on that burst damage. All jokes aside, the worst bot in the game (not including the Sharkticons) is definitely Hound. Less than 4% burn damage per second is unacceptable, that “crit on burn” tactic isn’t gonna help either, the opponent will escape his attacks too easily. 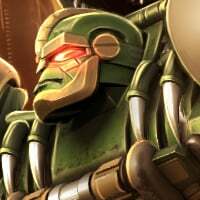 Other ranged attack rely bots suffer the same issue as well, but they have something to counter it, they don’t need to spam as many lasers as possible and pray for crits like Hound, Arcee’s headshots deal godly damage, Rhinox’s bleeds are decent plus he deals higher damage against bleeding opponents as well, Mirage’s power drains ignores opponent’s block. I enjoy his removal of resistances...I never seem to get them to land though. I want to like him especially since he is my highest level Demolition 4 star, but he is hurting me a lot in raids when I try to use him. Worst bot in the game is situational, taking an arcee against bonecrusher is the worst idea ever but still a good bot otherwise, or bludgeon against ultra Magnus, just as a couple examples. Every bot has a use in some way, even if it is niche and only useful against certain bots. 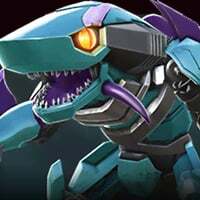 Since your including sharkticons, I’d like to say scout shark is probably the best. Can’t ignore that sp2 compared to the brawler or tact sharks. Hey, the bots will feel bad!! Are you SERIOUS?!! Are you CRAZY!! Hot Rod is like a Super Booster Warrior Dude like Drift, man!! Not exactly. He can get higher combo chains because of how they designed him. He's one of my top bots. I challenge you to give me any legitimate reason why choosing sideswipe over any other bot in game is beneficial aside from class advantage. In the case of class advantage, any other scout. The only way sideswipe is better than another scout is if you have no other scouts. 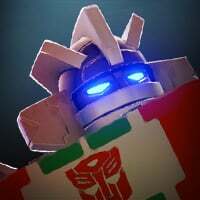 I 100% guarantee I will prove sideswipe is inferior in any scenario, starting with starseeker mastery, which is the obvious primary argument. I'll take kickback over sideswipe, because he is designed to trigger evade in the event of a melee miss, prolonging combo meters, and it is far more effective than sideswipe evade on s2. Add to this T-Clog, which straight up paralyzes enemy AI patterns. Damn, you making me wish I had been able to dupe Kickback. Kickers is def only useful when duped, but at least he doesn't need to be sig50 or something to be great. He still needs a bit of tweaking to be top tier though. i wish his stacks could apply on blocked shots the way Mirage does, they could even nerf the rate a bit to compensate... 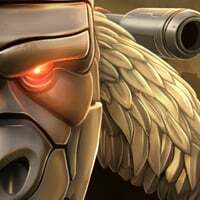 He does poorly against very high rated targets because of the AI scaling, very hard to build stacks. Also his sp3 heal needs to be greatly increased, even with 6-8 stacks active it heals almost nothing percentage-wise. Grindor is perhaps the most underrated (not best) bot in the game. Really? 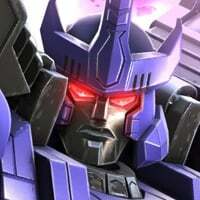 I was whippin soundwave and blaster's A$$ with him in expert mode. And he was only R3! @Manthro Sideswipe is fast and his special powers are good sp1 better than ratchets sp1 sp2 inflicts burn and deals a good amount of damage sp3 inflicts burn does some good damage and his "Man I'm good" buff...what does it do again? Not a chance. Ratchet is immortal in the right hands, and easily upper tier solely for his synergies alone. Wrong bot to compare against sideswipe, lol. You can also chain stun with Ratchet s1 and melee, land shocks all day long with +20% Crit on ranged..
S2 heals and power gains under 50% health. Sideswipe doesn't come close to competing against the Rat.